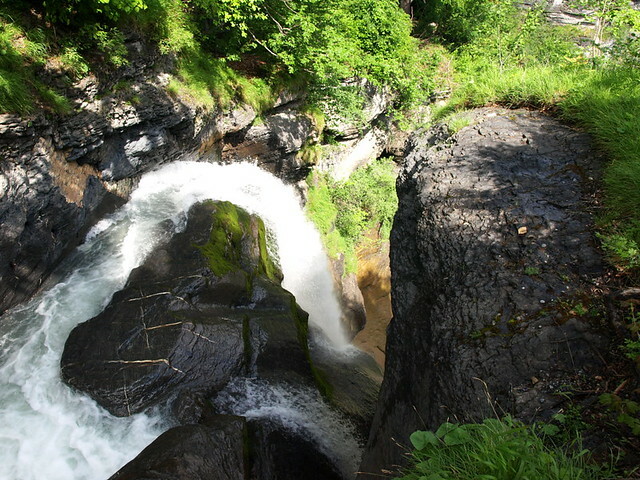 I wonder how many people worldwide do not know the name of this obscure mountain stream and waterfall in the Bernese Alps? One thing’s for certain, before The Strand Magazine issue of December 1893, very few people beyond the immediate valleys would have heard the name Reichenbachfall, and fewer would have cared. Today the village of Meiringen is visited by hundreds of thousands of Sherlock Holmes fans from across the globe, every one of them eager to tread in what, for 10 wilderness years, they believed to be their hero’s final footsteps. 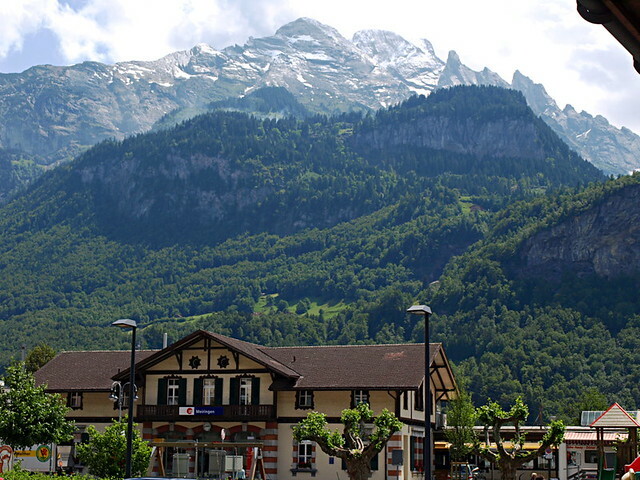 Arriving in Meiringen, the first thing that strikes me is the natural beauty of its location, at the junction of several Alpine valleys whose glaciers and snow coated peaks surround the town from all sides. At the mercy of the Föhn, a warm, dry wind that blows in from the south and creates the perfect conditions for wildfires, the town is no stranger to being consumed by flames. Just six months after Conan Doyle penned his demise of Holmes, most of the town was destroyed by fire and so very little of what you see today is true to that fateful, final setting. As a result, architecturally there’s little to set the pulse racing, most of the buildings being less than 100 years old. 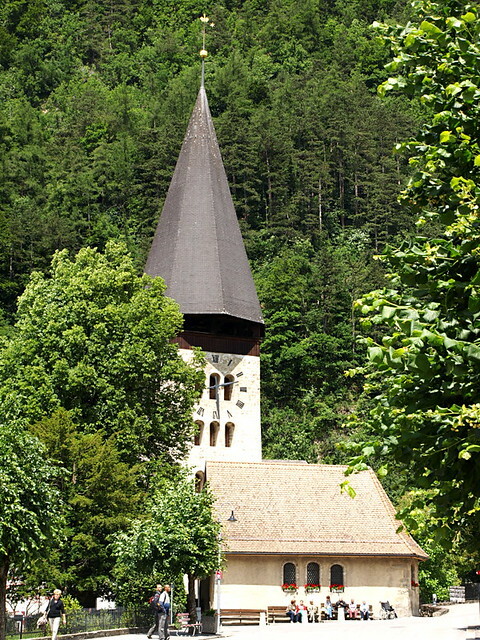 The most historic and prettiest part of Meiringen is around the church whose spire fronts dense forests of pine and fir, a picture just waiting for a chocolate box on which to appear. 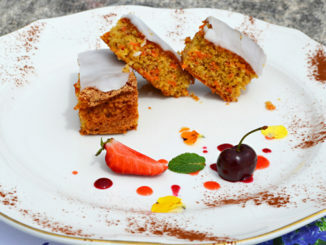 Taking a stroll along the main street, I realise it’s more likely to be a box of meringues that the church spire graces, the town’s shop windows brimming with trays and boxes of the sweet, white cakes for which it’s equally well known. 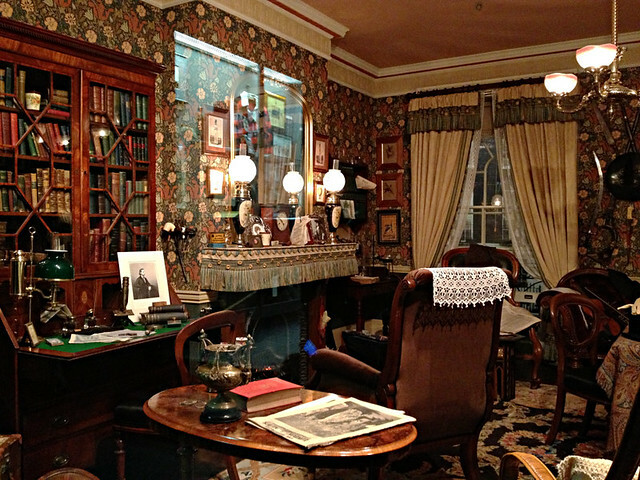 References to the literary detective are largely confined to The Sherlock Holmes Hotel (incidentally, not the place where Holmes and Watson stayed) and to Conan Doyle Place where the former English church now houses The Sherlock Holmes Museum, complete with a detailed and accurate reconstruction of the sitting room of 221B Baker Street. Multi-lingual audio tapes which you plug into various terminals around the museum allow you to move at your own pace through the exhibits, absorbing the wealth of Sherlock Holmes memorabilia and paraphernalia on display. 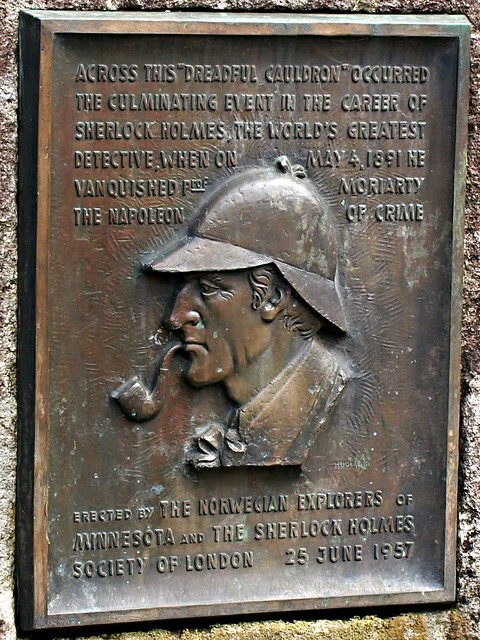 But it’s not looking at vintage posters, bronze statues, film stills and recreations of fictional living rooms that Sherlock Holmes devotees who make the pilgrimage to Switzerland most want to see and I am no exception, it’s that fateful spot from which their hero fell, locked in mortal combat with his nemesis. I want to stand and stare down into that dreadful cauldron of swirling water and seething foam and imagine the fear, drama and horror of that final encounter. Just a 10 minute bus ride from the centre of town is the funicular that will take me to the Reichenbach Falls. 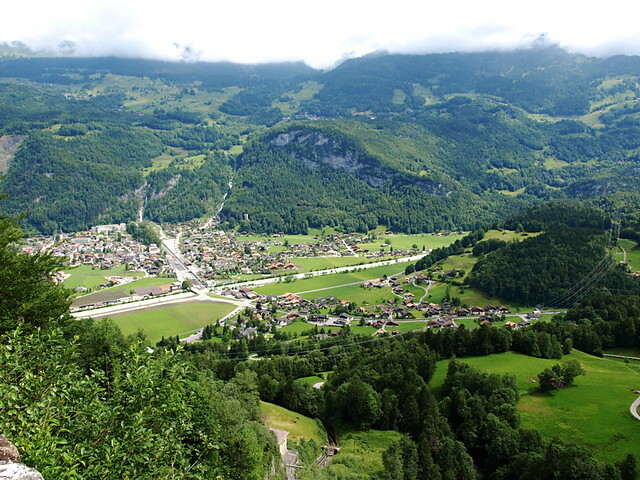 The railway has been restored to its former Victorian glory and the little wooden carriages climb slowly yet inexorably upwards, reducing Meiringen to the size of a model village and revealing the multiple valleys that converge upon it. Up 244m the train climbs until it reaches the upper platform and disgorges its occupants onto a viewing platform directly opposite and below the very spot from which Conan Doyle sent Holmes and Moriarty plunging, one to his death, the other to 10 years of anonymity via Florence. 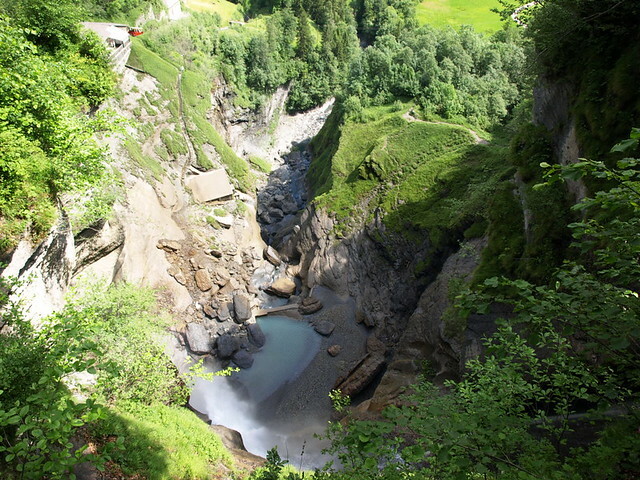 The Reichenbach River has its source in the Rosenlaui glacier and surges over seven cascades before finally reaching the valley floor, the 120m high and 40m wide cascade that I am now looking at being its most impressive. It’s July and near-incessant rain over the last four days combined with the melting glacial snow should have swelled the Fall to its greatest capacity but at first glimpse not remotely resembling Watson’s description of “…a fearful place.” Unfortunately, I’m told that time is of the essence and there apparently isn’t enough of it to make the climb to the top. Would Holmes have allowed a little thing like missing the connection to his hotel prevent him from ridding the world of Moriarty? Undeterred, I set off at pace, taking the steps two at a time as they wound endlessly through woodland, affording tantalising peaks of the fine spray and cascading water through the tree line. On and on the path went, climbing relentlessly, sapping the energy from my legs and the air from my lungs, but I was determined to stand and stare down into the abyss. I reached a viewing platform and thought I had arrived, only to see the path continue and to hear water still rushing from above. If only I had realised then that the platform directly overlooked the spot where the fateful battle took place, I might have saved myself a deal of anguish and got a good shot into the bargain. Ah, the power of hindsight, Holmes. But I continued to climb and by the time I arrived at the metal footbridge which crosses the top of the cascade I was sweating and my legs were wobbly. 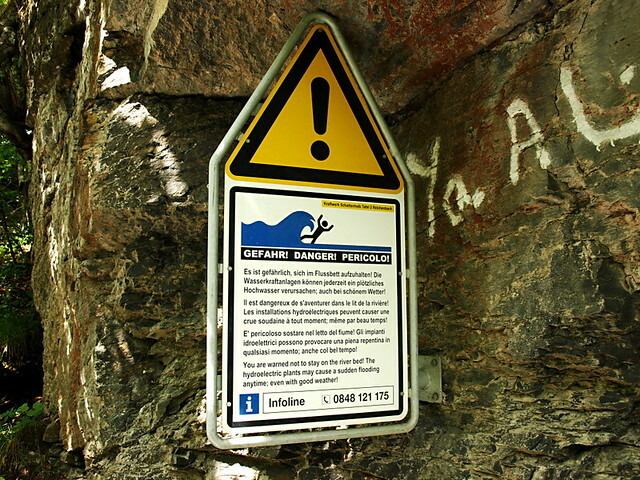 I smiled at the warning sign erected which showed a stick figure toppling into the water. I assumed it was a reference to Sherlock Holmes but it was in fact warning against sudden flooding in the river bed and not one jot of irony was intended. With the water gushing beneath the platform on which I stood, I finally peered down into… a small length of foaming cascade, a rocky ledge and a chasm. No sign of a dreadful cauldron of swirling water and seething foam was to be seen, nor “the thick, flickering curtain of spray hissing forever upward“. I stretched as far as I could, traversed the bridge several times and checked all the angles but no, not a hint of cauldron or of seething anything. I overheard someone say that you have to continue for another 10 minutes on the other side, on the left bank of the Falls to find the spot from which Holmes and Moriarty fell. I checked the time. I was already going to have to take the descent at breakneck speed if I was going to catch the funicular, adding another 20 minutes, or 15 if I really pushed it, was simply not an option. Disappointed, I turned and began my rapid descent. Back at the funicular I had time to reflect on my experience as we trundled gracefully towards the valley floor. 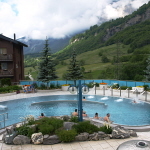 Had the Reichenbach Falls lived up to its expectations? 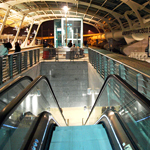 The funicular takes you to the best view of the Falls which is from the viewing platform at which you disembark. The path and steps that lead from there are all post-Conan Doyle and didn’t exist at the time he was writing. True Sherlock Holmes fans know to climb the infinitely less manicured and far harder ascent along the path up the left bank to get to the spot from which Holmes and Moriarty fell. But even if I had done that, and had managed to peer into that illusive cauldron and felt the curtain of spray, would it have made any difference? I didn’t really feel any Sherlock Holmes connections at the Reichenbachfall at all. 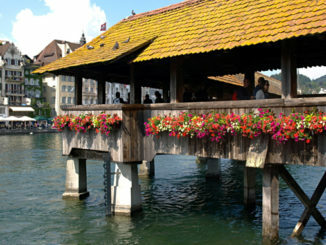 Once there, I found myself admiring it simply as another beautiful aspect of the nature of the Bernese Oberland. My instincts as a travel writer consumed my Sherlock Holmes tourist persona and relegated it to the background. 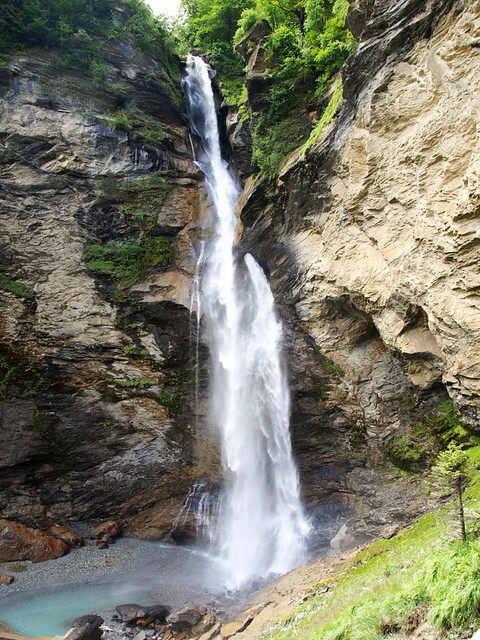 My day had begun at the Geissbach Falls, in truth an infinitely more impressive cascade where I was able to climb a muddy path, to criss-cross the water at intervals and to walk behind the roaring curtain of water. I guess if I had climbed the left bank, from which the Fall is by all accounts far more accurate to the text, and if perhaps I had been in 19th century costume, and a true officianado of the deerstalker one, I might have had an altogether different experience. But for me, the next time I go looking for Sherlock Holmes it will be in a museum, in the pages of my Conan Doyle Anthology or best of all, on BBC One in the shape of Benedict Cumberbatch.